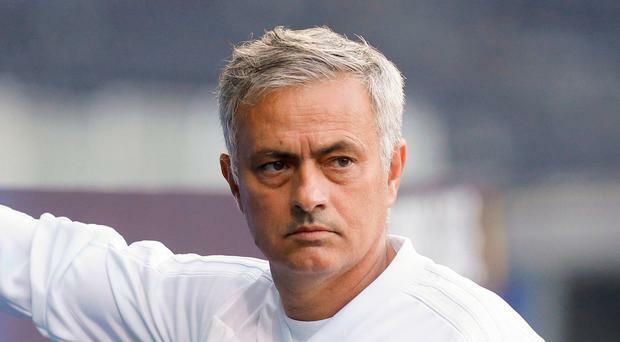 Jose Mourinho has told Manchester United's players to follow tennis great Roger Federer's lead as they kick off their Champions League bid on a plastic pitch. United return to continental action this evening in Bern, where group stage debutants Young Boys could have an advantage thanks to the Stade de Suisse surface. Mourinho has made his feelings known about such surfaces to Uefa but was keen to stress that it should not be an excuse, instead pointing to the versatility of Federer - one of Switzerland's favourite sons - as inspiration. "I don't want to use that as a possible excuse for a not very good performance," Mourinho said. "Everybody knows it's different, and I said what I had to at the meeting with Uefa. "As an example, we are in Switzerland, the home of one of the best ever tennis players, and I'm pretty sure that the big man sometimes is not happy to play on such a surface but he has to play and he has to win. "Everybody knows that he has a favourite surface, but he has also to win on the surfaces that he is not in love with, so we have to do it. "Valencia's the only one that demanded from us that we need to protect his clinical situation, so he isn't here. "Apart from that, we go with everything we have, and we have to try and win." Amateur James Cahill has knocked world number one Ronnie O'Sullivan out of the World Championship in one of the greatest shocks in sporting history.